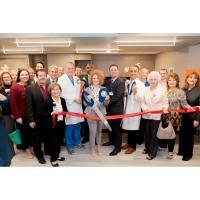 Nov. 26, 2018 (Houston, Texas) – Bayshore Medical Center, a HCA Gulf Coast-affiliated hospital, today opened the “Center for Neurosciences and Orthopedics.” The 20-bed unit, occupying 15,800 square feet of the hospital’s fifth floor is a completely new buildout, designed to meet the unique needs of neuroscience and orthopedic postoperative patients in Pasadena and throughout Houston. Bayshore Medical Center hired nine registered nurses, specializing in postoperative care, to staff the $5 million facility. Proprietary physician-led protocols will empower each nurse to safely make medical decisions, such as when to discharge a patient, independently. Additionally, the unit will feature its own physical therapy gym and specialist to streamline rehabilitation. These measures are expected to reduce length of stay from an average of three to one day.